Now in Singapore, there are a lot of plums being sold in the supermarket. 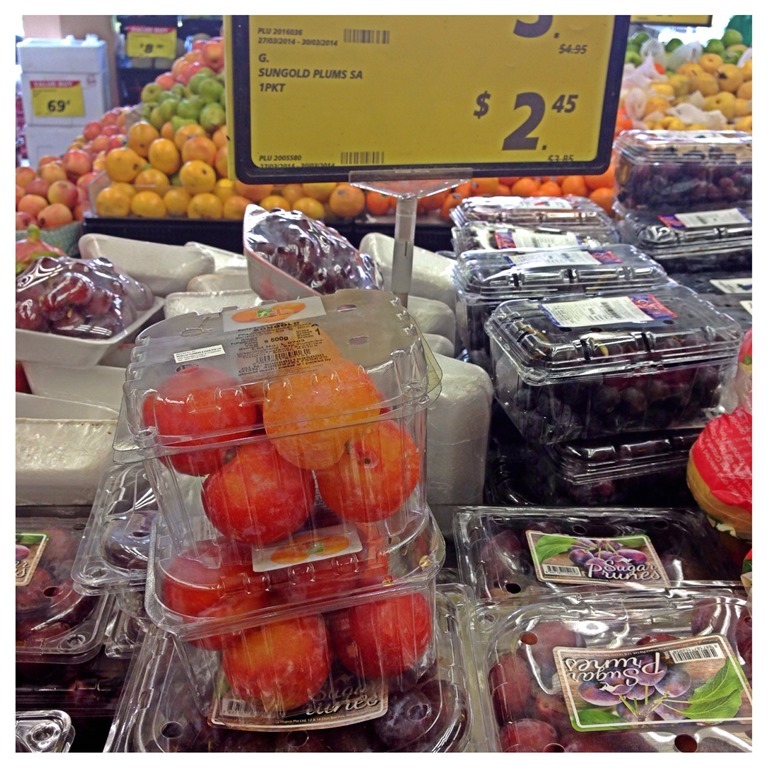 Last Sunday, when I went shopping in the supermarket, I noted that the prices of plums are very cheap. Prices of a box of 6-8 plums cost only SGD2.45. I told myself I might as well used it to prepare some plum pie. The plum has ripened but it is rather sour. So, in order to prepare the pie, I have to mesh it and add some sugar to get the texture and sweetness that I liked. Instead of adding sugar, I have decided to use some of the left over pineapple jam to sweeten the fillings. 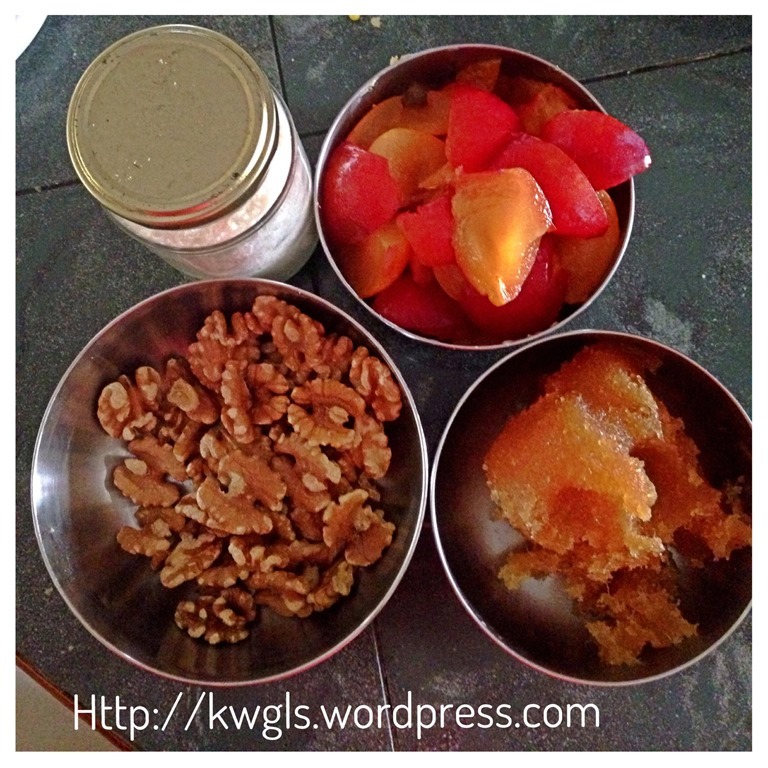 The pineapple jam is the same type of jam used for the preparation of pineapple tarts. 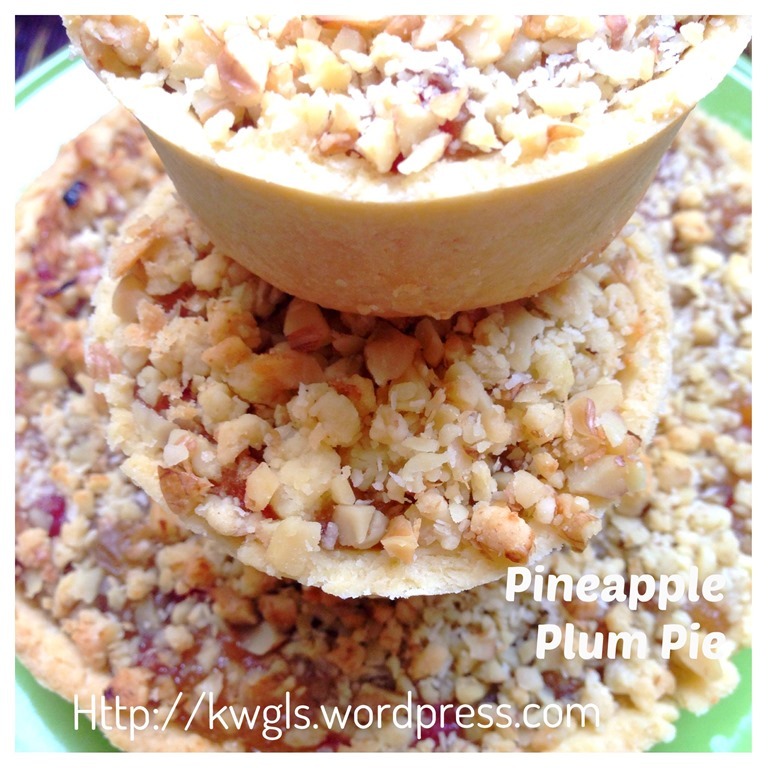 In order to improve the overall texture of the pie, i have opted to use the walnut coconut as the toppings. 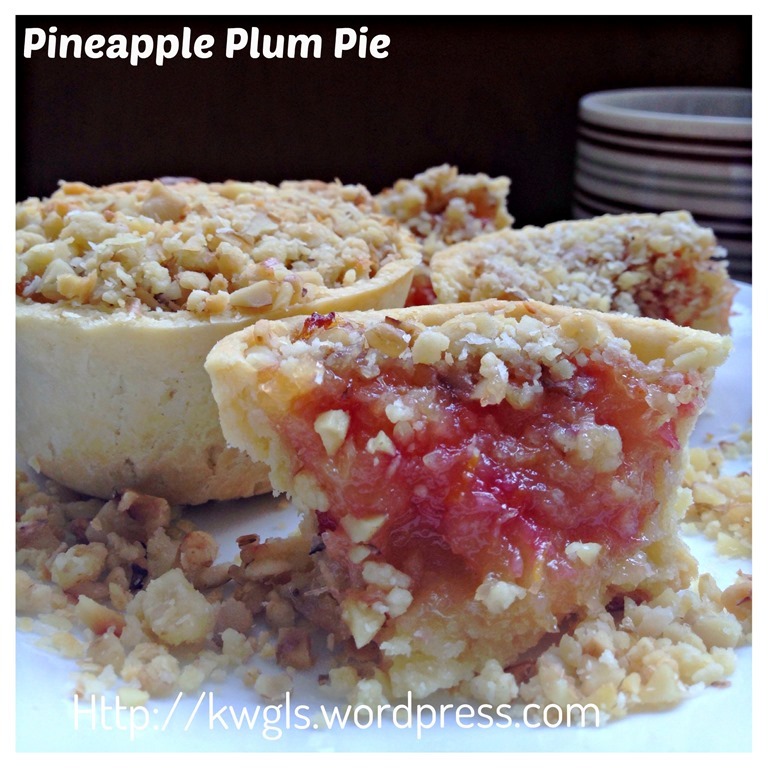 The pie itself is delicious if you like something tangy sweet. These two fruits blend rather well in term of taste. 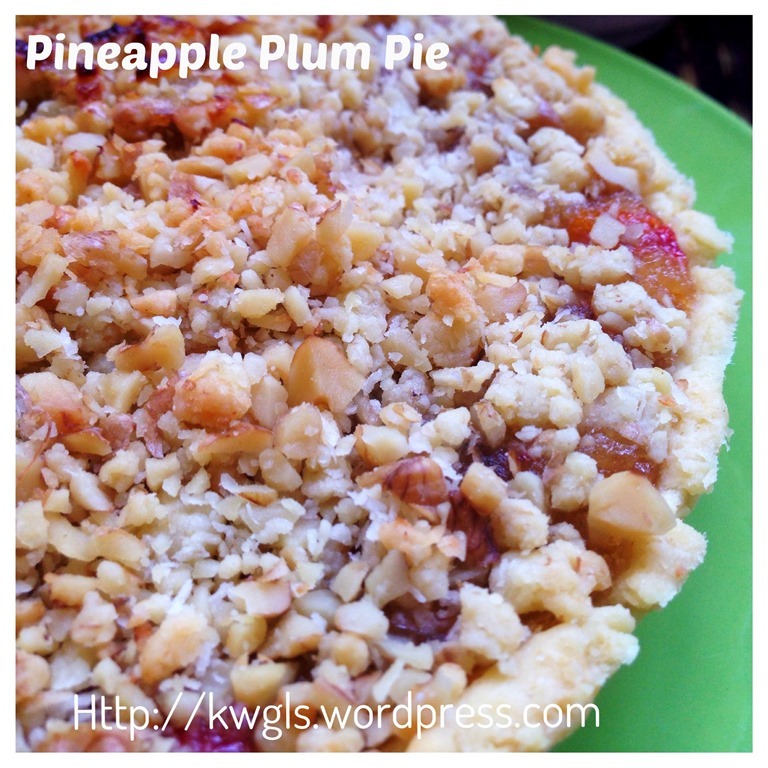 The centre of the pie is soft and goes well with the short crust and walnut coconut toppings. I have purposely ignore sugar in the preparation of the short crust and topping after consideration the sweetness of the pineapple jam. If you do not have any pineapple jam, or if do not like pineapple, you can substitute with any other type of fresh fruits like apples or strawberry. But sugar have to be added to sweeten the fillings . 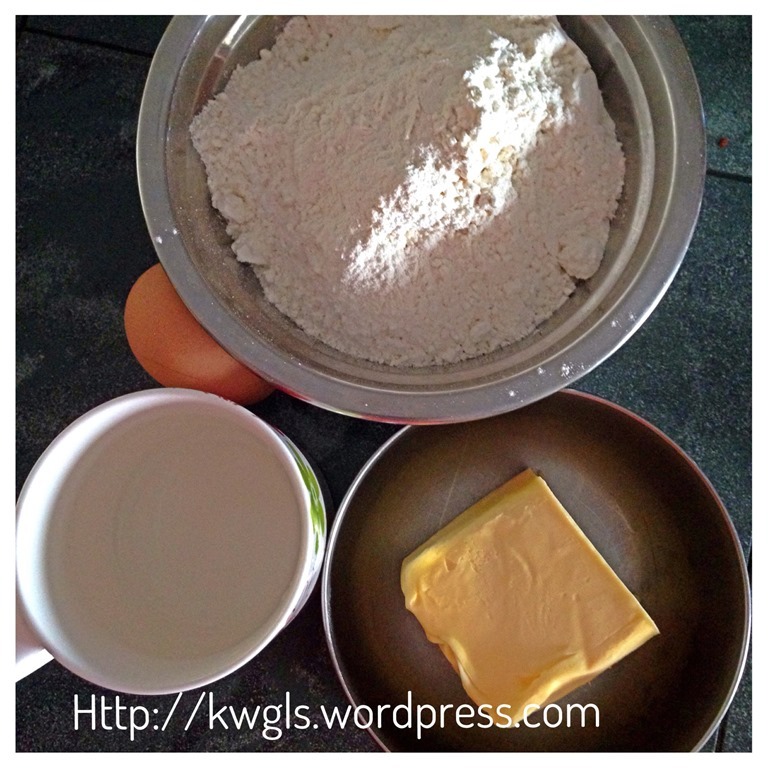 In a big mixing bowl, put butter cubes and sifted plain flour together. 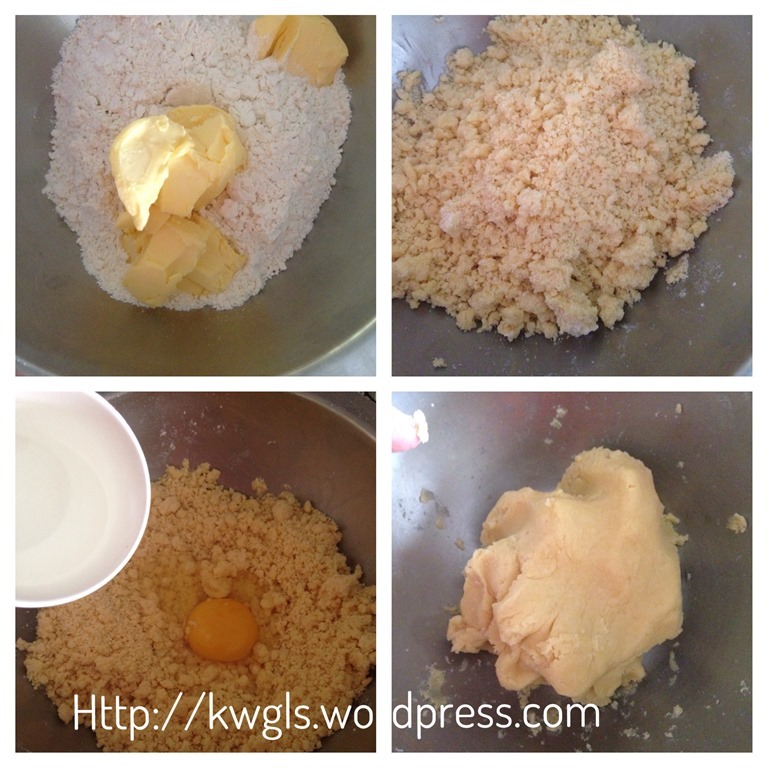 Use the finger tips to rub the butter cubes and flours together until it become crumby. Add in sifted icing sugars and continue to rub until well mix. Add lightly beaten eggs and water, mix slowly until it become a dough. For a detail illustration on the preparation of pie crust, please head over here. 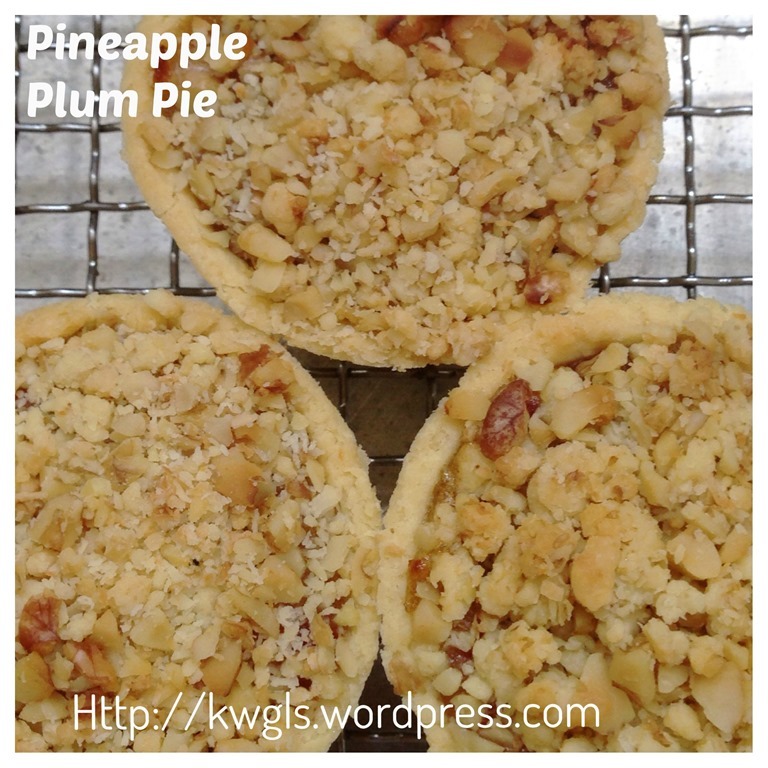 You should have some leftover short crust pastry, leave it to use it as the toppings for the next step. 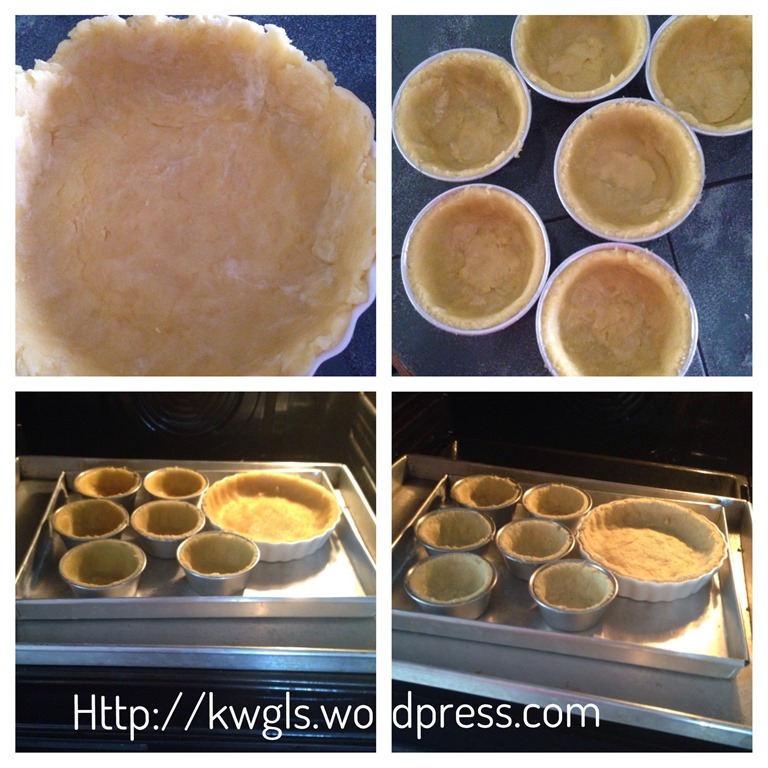 Bake the tarts/pie pastry in the oven for 10-15 minutes until the pastry is dry and slightly brown.. If you wished, you can put some oven beads or cereals such as green beans/red beans on top of the pastry . This is to flatten the short crust pastry. I have not put this as this is a relatively small pie. 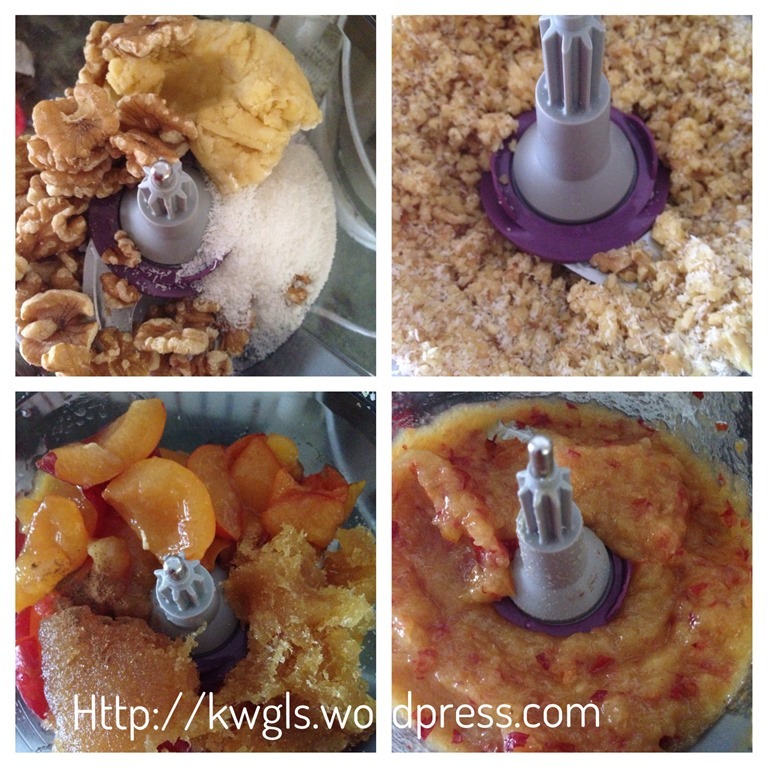 Place the remaining short crust pastry, walnuts and desiccated coconut, blend in a food processor until crumbly. Set aside for later use. 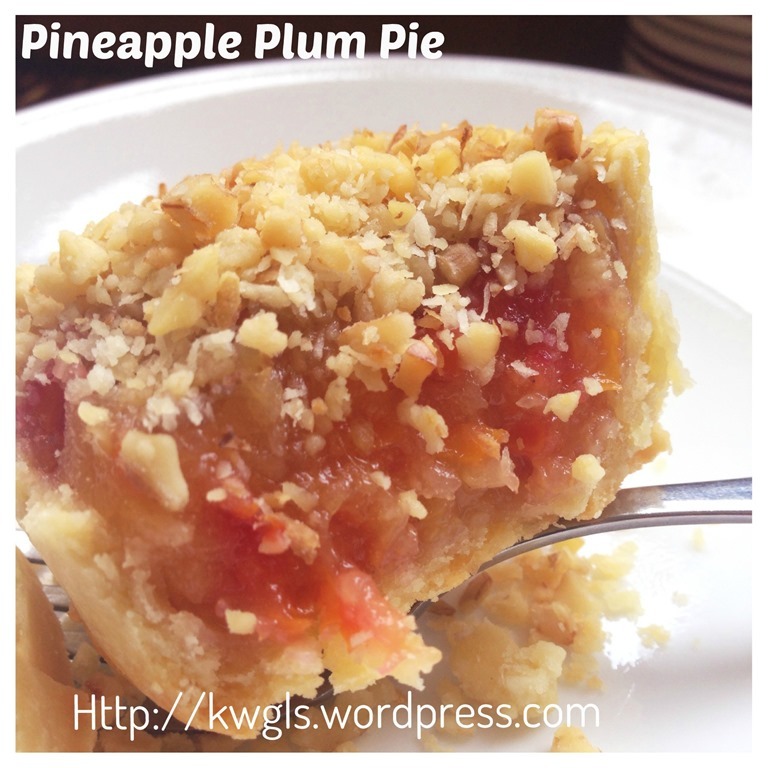 Place the pitted plums and pineapple jam or fresh pineapples or fresh apples, blend until puree form. Take a teaspoon and taste if it too sour for you. If you are using fresh fruits, you may need to add at least 50-100 grams of castor sugar to lower down the acidity. How much sugar is difficult to estimate as it all depends on the batch of plums or other fresh fruits that you have purchased, Therefore, there is a need to taste the puree and add additional sugar if required . If you wished, you can add in 1/4 teaspoon of cinnamon powder too. 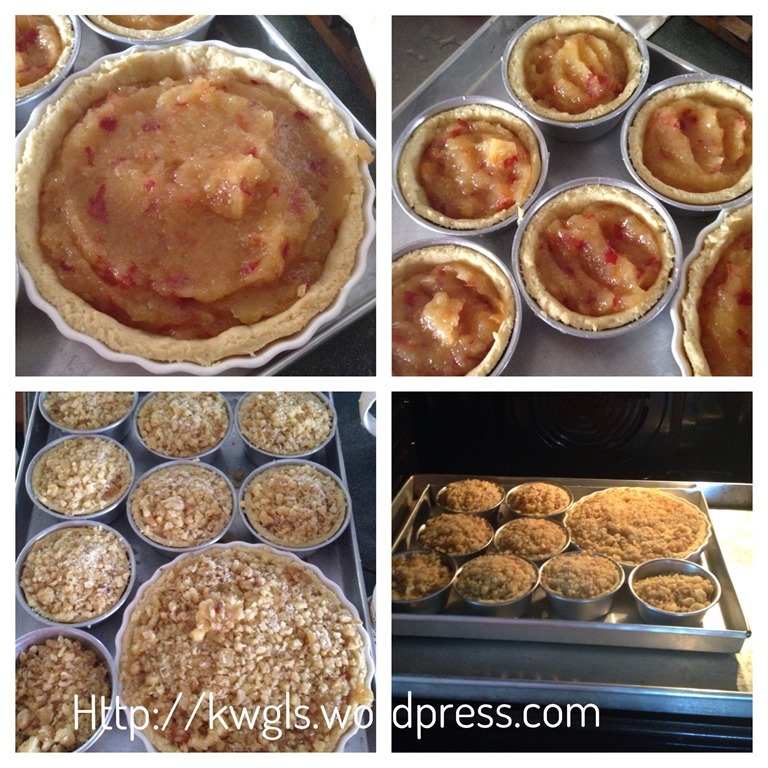 Scope the fillings into pie/tarts mould, level it and sprinkle sparingly with the walnut crumbs. 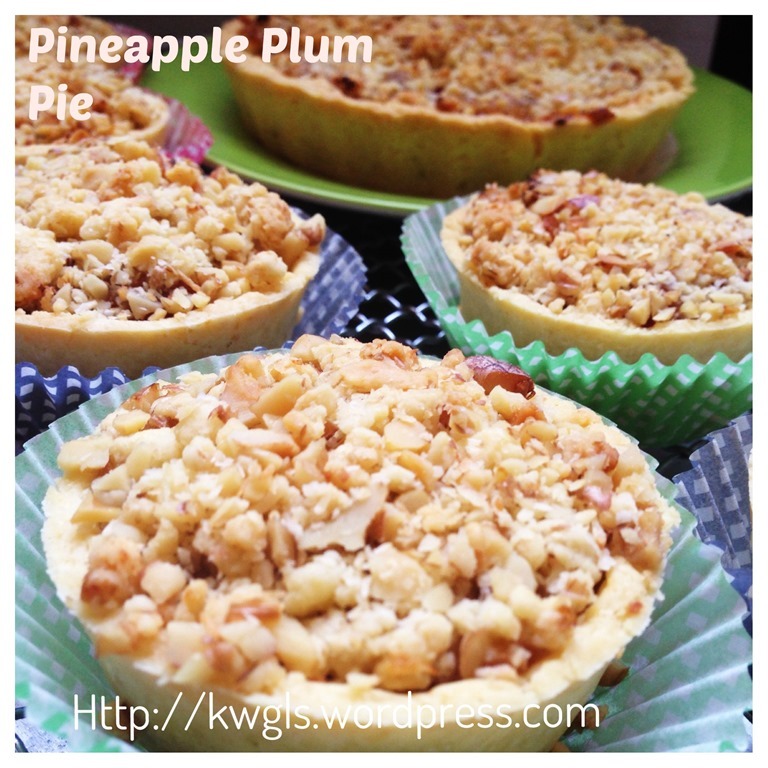 Press slightly and bake in the oven at 180 degree Celsius for 20 – 25 minutes or until the tart shells become golden brown. 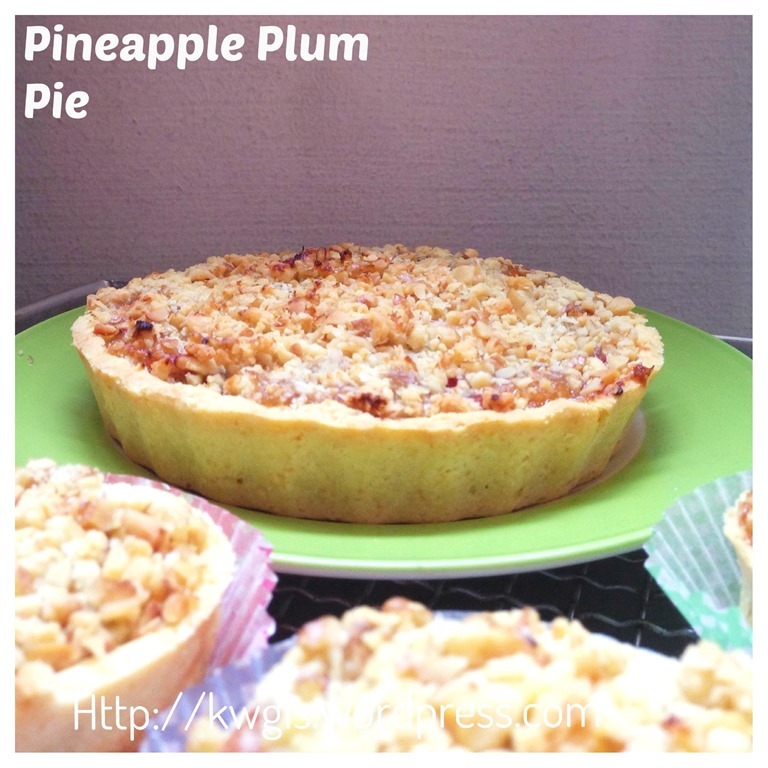 The combo of pineapple and plums is a nice one. 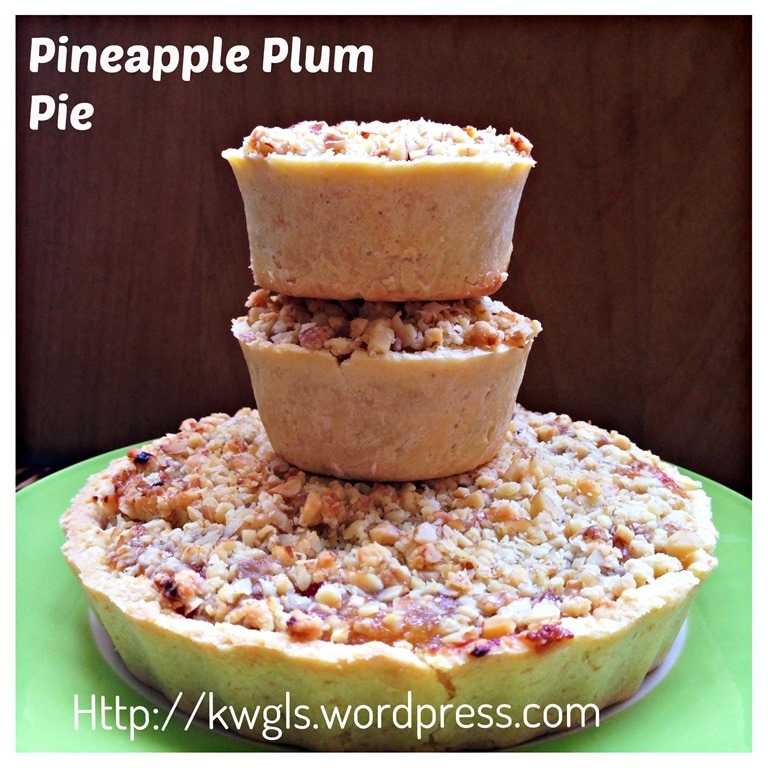 If you like some pie which is not too sweet, this is the pie for you. Having saying this, the sweetness depends on the batch of fruits that you have purchased. 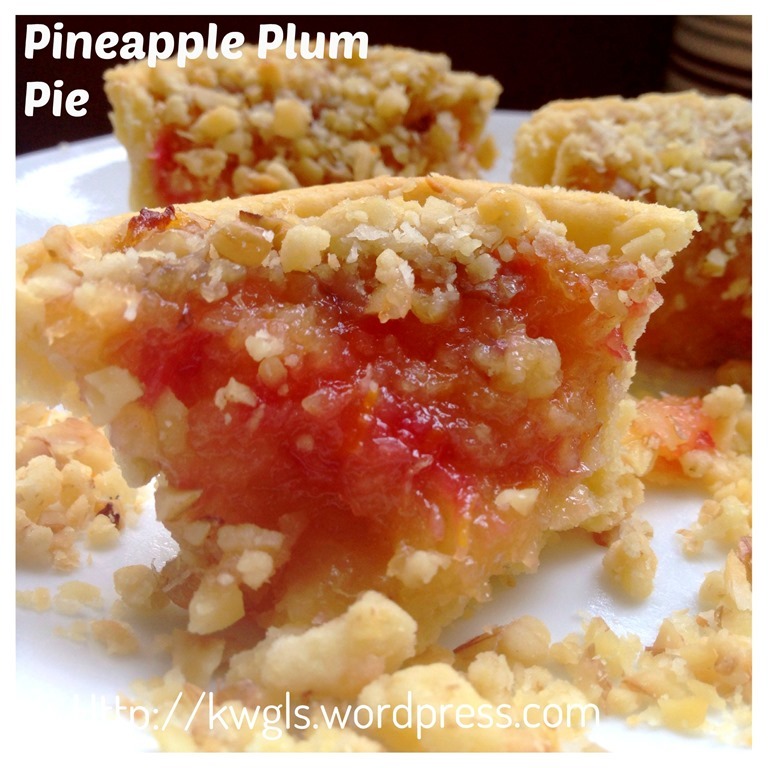 Plums can be rather sour even though they are fully ripe. So, a taste on your puree is important. 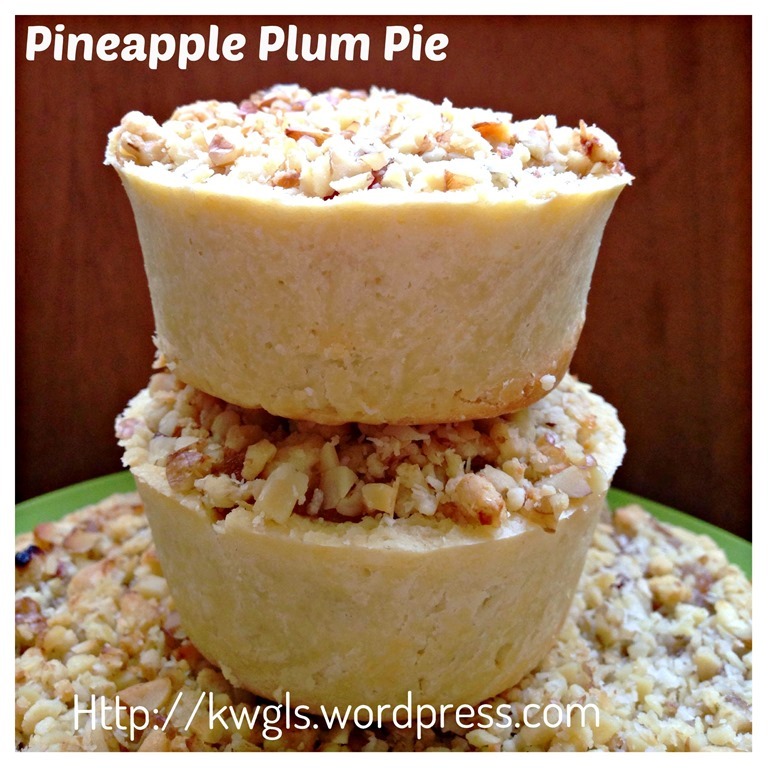 I especially loved the walnut crumbs that goes well with the pie fillings. Remember that if you don’t like pineapple, just substitute with fresh apples and don’t forget to add sugar to sweeten it. 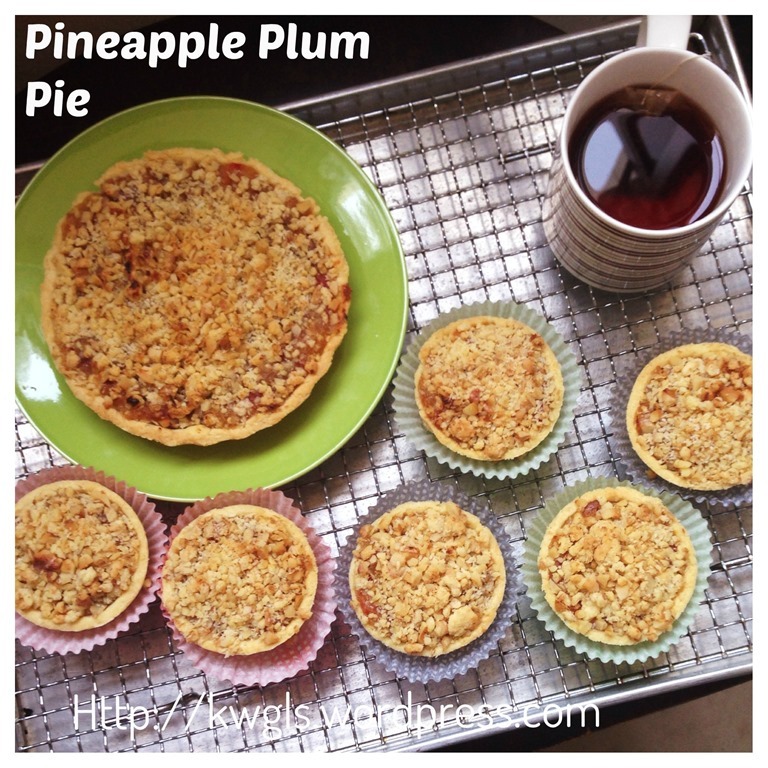 This entry was posted in Cakes and cookies, Food Preparation Series and tagged 8, GUAI SHU SHU, Guaishushu, kenneth goh, pineapple pie, Pineapple Plum Pie, plum pie, postaday, 凤梨李子派. Bookmark the permalink.